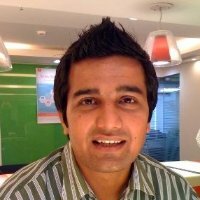 Saurabh has worked globally for telecom and finance giants in various capacities. After working for a decade in Infosys and Sapient, he started his first startup, Lenro, to solve a hyperlocal book-sharing problem. He is interested in product, marketing, and analytics. His latest venture Hackr.io recommends the best C++ tutorial and online programming courses for every programming language. All the tutorials are submitted and voted by the programming community.